Quantitative evaluation of vascular ingrowth to the bone tunnel walls and tendon graft after anterior cruciate ligament reconstruction for up to two years post-surgery using magnetic resonance angiography (MRA). The study population consists of 100 patients that underwent reconstruction with multi-stranded semitendinosus tendons. The patients were retrospectively divided into those that underwent MRA two, three, four to six, and ≥ seven months after surgery (46, 17, 16, and 21 patients, respectively). Digital imaging and communication in medicine (DICOM) MRA images were imported into image processing software (OsiriX®), and the mean signal-to-noise ratio (SNR) of the bone tunnel walls in the femur and tibia and tendon graft parenchyma in the bone tunnels were measured. On MRA, the signal intensities of the bone tunnel walls in the femur and tibia (12.6 ± 3.41 and 10.7 ± 3.04) were greater than that in the tendon graft (2.65 ± 1.94 and 2.50 ± 2.02, respectively) at two months after surgery. At three months after surgery, the intensities of the tendon grafts (6.25 ± 2.18 and 5.77 ± 1.57, respectively) were greater than those of the bone tunnel wall (2.56 ± 1.29 and 2.50 ± 1.11, respectively). At four to six months, the intensities in the bone tunnel wall were 1.76 ± 0.73 and 1.62 ± 0.72, respectively, and those in the tendon graft were 5.01 ± 2.11 and 4.01 ± 2.35, respectively. 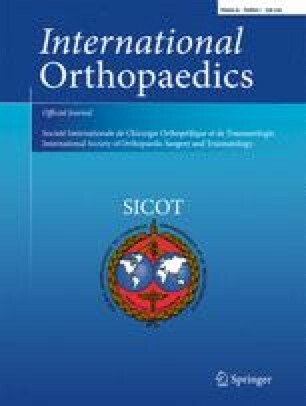 At ≥ seven months after surgery, the intensities in the bone tunnel wall were 1.36 ± 0.63 and 1.21 ± 0.87, respectively, and those in the tendon graft were 4.25 ± 1.87 and 3.44 ± 1.99, respectively. Blood flow was seen around the bone tunnel on the femoral and tibial sides two months after ACL reconstruction and in the tendon graft parenchyma three months after surgery. The remodeling process continued after seven months.